If you want to learn about a rising web framework, you should check out Phoenix, a new framework for the Elixir language. With a server-side MVC pattern, it's similar to other web frameworks like Ruby on Rails or the Python framework Django, but it also contains powerful new ideas to make web development easier and more effective. Our new course, Get Started With Phoenix, is the perfect introduction to this exciting framework. In this post, you'll get a quick introduction to the course and be able to view some free sample lessons. In this course, instructor Markus Mühlberger will show you how to use the Phoenix framework and give you an in-depth introduction to its key architectural concepts. 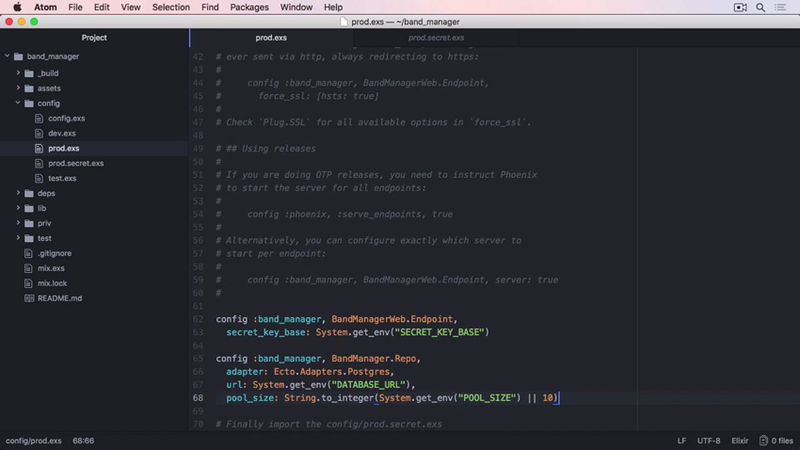 You'll build a web app right through to deployment, and along the way you'll learn about how Phoenix handles template rendering, asset compilation, database integration, WebSockets, testing, and more! With version 1.3, the architecture of the Phoenix framework has changed quite a bit. Whether this is your first look at Phoenix or you're updating your knowledge from a previous version, in this video you'll get a look at the core principles of the framework architecture. You'll also learn about some differences from earlier versions. In this video, you'll learn about the entry points to your application, "endpoints", and what it takes to get a request through to the controller that will process it. Controllers handle requests. In this video, you'll learn you how controllers work and what functionality they bring with them. The full course contains 12 more videos taking you through every aspect of the Phoenix framework. You can take our new course straight away with a subscription to Envato Elements. For a single low monthly fee, you get access not only to this course, but also to our growing library of over 1,000 video courses and industry-leading eBooks on Envato Tuts+.